Wholesale Trader of a wide range of products which include water testing kit, pure water tester and portable spectrophotometer. We are engaged in manufacturing, trading and supplying of Water Testing Kits. These are used for testing various features of water like salinity, turbidity, diffused oxygen ingredients etc. We pack Water Testing Kits in corrugated coloured PVC boxes. These testing equipment are widely used for analysis of boiler, waste, drinking water etc. 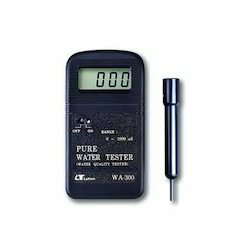 Pure Water Tester offered comes with option of hold function and allows for convenient reading and recording support. 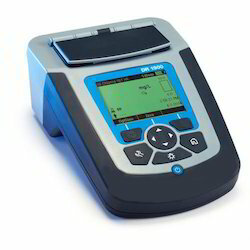 Spectrophotometer Portable for water & wastewater analysis - HACH DR 2700 adds new power to your work, in the lab or in the field,Touch screen display with intuitive user interface, USB ports for easy program updates and printer/accessory connections, Over 130 pre-installed analytical methods Small footprint Open measurement Runs on either line power or optional lithium-ion battery, Optional pour-thru cell accessory for high volume analysis and trace level measurement. 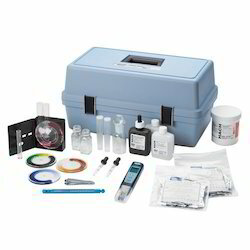 Looking for Water Testing Kit ?